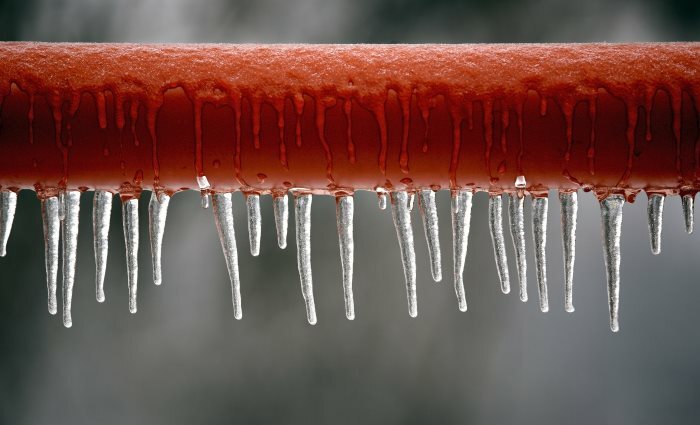 Frozen pipes can go from being an inconvenience to a disaster in no time at all. Here are some tips for preventing and thawing your frozen pipes! Have you ever turned on the faucet to find that nothing was coming out? First thing's first, check to make sure that you don't have any pipes that have broken, are leaking, or that are visibly bulging. Often, broken pipes will not begin to leak until they begin thawing, so be sure to check on your pipes periodically as they warm up. If you see any Water Damage at all, immediately shut off the water to prevent further damage. Water Damage can result in significant structural damage and Mold Growth, making proper mitigation by a trained professional extremely important. In order to prevent further damage and begin the process of getting your home put back together, a qualified Emergency Mitigation Firm such as Disaster Blaster should be contacted immediately so that they can begin the drying process. Even if you don't see any water damage yet, it's important to be watchful, as pipe leaks can develop or become apparent as the pipes thaw and water begins to flow once again. •	Leave your faucets turned on. As the pipes thaw, you should start to see a trickle and then a gradual increase in water pressure. In addition to calming your nerves, this running water will also help thaw your pipes! •	Turn up the heat in your house and open sink cabinets, etc. This will allow more heat to reach the frozen pipe, and will help begin the thawing process. •	Try using a hair dryer or small space heater to warm up frozen pipes. Never use an open flame such as a torch, and never leave any heat source unattended as this could result in a fire. Before the cold weather strikes, take these steps to prevent your pipes from freezing in the first place! •	Consider moving pipes that are in especially susceptible areas, such as exterior walls (particularly corners), unheated crawlspaces or garages, and poorly insulated areas. •	Better insulate areas near and around plumbing and install pipe insulation. The better insulated your water pipes, the less likely they are to get cold enough to freeze. •	Upgrade your water supply pipes to PEX. PEX has been around for a while, but many homeowners don't yet know about it. These flexible polyethylene tubes can stretch and flex, reducing the likelihood of a burst pipe in the event they do freeze. •	If you're looking for a short term solution, try leaving cabinet doors under sinks open to allow more heat to reach the plumbing, and keep faucets on a small trickle. Running water is less likely to freeze, and will reduce the likelihood of your pipes freezing until you have an opportunity to address the issue in a more permanent way. We certainly hope you don't have to deal with frozen pipes this winter, but if you do, hopefully these tips will help you get the water running again as quickly as possible! Should you ever suffer a pipe break or water damage, please do not hesitate to Contact Us! We're always here to help! *This story originally appeared in the February 2018 issue of Connections Magazine, as part of a monthly contribution made by Disaster Blaster, Inc. Please check out the current issue of Connections Magazine for this month's story!